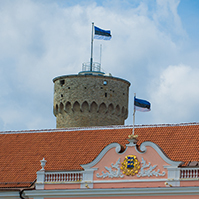 The Riigikogu passed with 78 votes in favour the Industrial Emissions Act (345 SE), initiated by the Government. The aim of the Act is to achieve a high level of protection of the environment taken as a whole by reducing emissions into air, water and land and the generation of waste in order to prevent unfavourable impacts on the environment. The Act determines the industrial activities with major environmental risks and provides for the requirements for operating in such activities and the liability for non-compliance with the requirements, as well as the organisation of the state supervision. The Act will be applied in industries like energy industry, metal working industry, chemical industry, waste management (incl. animal waste), cellulose and textile industry, food industry, rearing of pigs, cattle and poultry, surface treatment, production of wood products, production of graphite, etc. At the same time, the provisions of the current law are harmonised and organised, ensuring a more uniform system of concepts, and conflicts with European Union law are eliminated. The Act enters into force on 1 June 2013. The Act on Ratification of the Agreement between the Republic of Estonia and the Supreme Headquarters Allied Powers Europe and Headquarters, Supreme Allied Commander Transformation to Supplement the Paris Protocol (384 SE), initiated by the Government, was passed with 71 votes in favour. 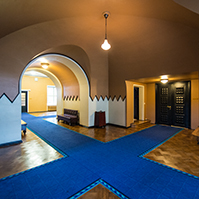 The aim of this supplementary Agreement is to simplify the work of NATO Allied Headquarters in Estonia and the implementation of the Agreement and the Protocol, and to ensure the independence of the Allied Headquarters. 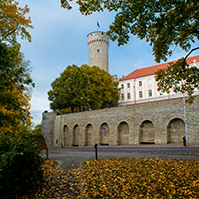 The Act also creates the possibility to deploy the Allied Headquarters and staffs into Estonia, as well as to establish them in Estonia, and the possibility for them to operate in Estonia. 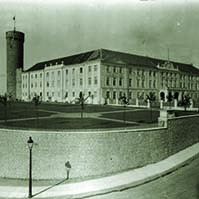 On the motion of the National Defence Committee, the second reading of the Bill on Amendments to Acts in connection with the Ratification of the Agreement between the Republic of Estonia and the Supreme Headquarters Allied Powers Europe and Headquarters, Supreme Allied Commander Transformation to Supplement the Paris Protocol (385 SE), initiated by the Government, was concluded. The purpose of the Bill is to amend the Acts necessary for the implementation of the supplementary Agreement and to thereby enforce the supplementary Agreement. In connection with the ratification of this supplementary Protocol, amendments must be made to the Alcohol, Tobacco, Fuel and Electricity Excise Duty Act, the Private Schools Act, the Local Taxes Act, the Value Added Tax Act, the Traffic Act and the Motor Third Party Liability Insurance Act, the Explosive Substances Act, the Land Tax Act, the General Part of the Economic Activities Code Act, the International Military Cooperation Act, the State Fees Act, the Social Tax Act, the Food Act, the Customs Act, the Income Tax Act and Unemployment Insurance Act. The Bill was sent to the third reading. On the motion of the Finance Committee, the second reading of the Bill on Amendments to the Investment Funds Act (408 SE), initiated by the same Committee, was concluded. The aim of the Bill is to amend the regulation concerning the liquidation of investment funds in order to prevent legal ambiguity in the liquidation of funds and to ensure sufficient protection of investors. The Bill was sent to the third reading. On the motion of the Environment Committee, the second reading of the Hunting Bill (351 SE), initiated by the Government, was concluded. The Bill provides for the procedure for the creation and use of hunting districts, the observation of wild game animals, hunting quotas and structure and other bases of hunting, determines the documents certifying hunting rights, and provides for compensation for the damage caused by wild game animals, and state supervision and liability. 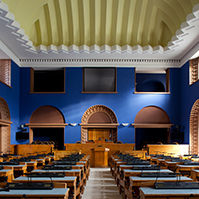 The Social Democratic Party Faction and the Estonian Centre Party Faction moved to suspend the second reading of the Bill; 32 members of the Riigikogu voted in favour and 42 voted against. 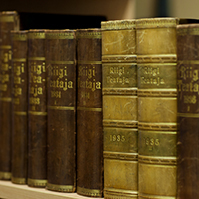 As the motion to suspend was not supported by the Riigikogu, the Bill was sent to the third reading and, consequently, to a final vote. On the motion of the Environment Committee, the first reading of the Bill on Amendments to § 131 of the Waste Act (421 SE), initiated by the same Committee, was concluded. The aim of the Bill is to extend the term for conditioning of closed landfills. Subsection 131 (2) of the Waste Act provides that landfills closed for waste deposit by 16 July 2009 shall be conditioned in accordance with the requirements not later than by 16 July 2013. The purpose of the Act on Amendments to § 131 of the Waste Act is to extend the term for conditioning of closed landfills in accordance with the requirements to 31 December 2015. The Bill was sent to the second reading. On the motion of the Rural Affairs Committee, the first reading of the Bill on Amendments to the Organic Farming Act and the State Fees Act (405 SE), initiated by the Government, was concluded. The aim of the Bill is to simplify the requirements for preparation of an organic product in catering operations and to provide the notification obligation instead of the approval obligation for undertakings, to specify the supervision competence of the authorities within the area of government of the Ministry of Agriculture as regards the supervision exercised over organic feed, and to update the Organic Farming Act and the State Fees Act according to the needs that have become apparent during the implementation of the Acts. In comparison to the Organic Farming Act which is currently in force, the administrative burden of undertakings will be reduced once the amendments enter into force. The Bill was sent to the second reading. On the motion of the Finance Committee, the first reading of the Bill on Amendments to the Taxation Act and Other Acts (414 SE), initiated by the Government, was concluded. The aim of the Act is to improve the administrative capacity for the taxpayer as well as the tax authority and to ensure greater legal clarity. The amendments promote electronic records management which will reduce the number of documents forwarded on paper to taxable persons and simplify and speed up the communication between the tax authority and the taxable person. The purpose of the advance and follow-up notification system of monetary and non-monetary obligations IRIS developed by the Tax and Customs Board is to link the advance and follow-up notifications forwarded to the taxable person into a single process. IRIS will be interfaced with the e-service environment of the Tax and Customs Board. The Bill also reduces the terms for determining the amount of tax and for expiry of the limitation period for the collection of the amount of tax. The Bill was sent to the second reading.